As you have probably gathered from recent posts, and those during last year’s festive season, I am a fan of magnums. The magnum is without doubt the perfect receptacle for ageing champagne in and in nearly all cases in my experience, faced with the same wine served from a standard 75cl bottle or magnum format, the latter will taste better. Champagne aged in magnum develops and evolves more slowly, so it will always seem fresher than its 75cl counterpart. But it isn’t just about freshness, there’s extra zip, more nuances of flavour, and ultimately greater complexity. As I have noted because producers are aware of this, some houses will release and sell their magnum stock at a later point after longer ageing than their bottles. In the case of non-vintage blends, sometimes the base wine that is likely to make up the largest portion of the blend, will be from an older harvest in the case of the magnum non-vintage cuvée – this, as I have mentioned recently elsewhere, is the case in the example of both Bollinger and Veuve Clicquot. If you are looking to buy something now in magnum for a special celebration over the holidays, it’s really non-vintage wines we are talking about here. Vintage champagne in magnum can also be sublime, but many current releases in magnum simply aren’t ready to drink, at least not if you wish to enjoy them at anything close to their peak. In terms of development they may be three or four years behind the same wine in 75cl bottle format. For the better houses the price of a magnum is often more than the price of two bottles. That’s partly why I was keen to highlight the deal at Waitrose (13 stores and online) on magnums of Bollinger Special Cuvée, which at least one regular visitor to the site has found and purchased for only a shade over £60. But where else outside the supermarkets – Sainsbury’s and Tesco have both had good deals on Veuve Clicquot in large bottles – can you find any stock of non-vintage champagne in magnum that you could buy and drink without disappointment (if you have the chance and the cellar space, most good non-vintage champagne in magnum will develop very well over a couple of years or so and if you can afford to put some away so much the better) in the next few days. Hunting the other day for some bargains among the pages of the Majestic website I found they had quite a selection, albeit that not every store stocks them, so you might have to hunt around. Two of the least expensive on which there are both good deals are Laurent-Perrier, currently down from £70 to £50, and Perrier-Jouët Grand Brut which is £55. Both with the emphasis on freshness, lightness and balance would make great aperitif fizzes for Christmas Day or Boxing Day or before a celebration dinner. Taittinger Brut Réserve with its largish splash of Chardonnay is in a similar vein and down from £70 to £60 per magnum. The more muscular ‘R’ de Ruinart blend in its distinctive bulbous bottle, down from £100 to £75 a magnum would add a note of class. Class, luxury and seductive creamy texture can be found in the Veuve Clicquot rosé magnums which will set you back £95. If you want a Blanc de Blancs (all Chardonnay) magnum Ruinart may provide the answer and it’s down from £125 to £100, as is their rosé, though I’d favour the Clicquot pink wine and save a fiver. The much improved G.H. Mumm Cordon Rouge blend in magnum, sprayed about on the F1 podium, is £60 as is the apple fresh Lanson Black Label. Bollinger is down from £99 to £80 is you can’t find a Waitrose store stocking it and this wine is a treat with real depth of flavour. Another Pinot Noir dominant non-vintage cuvée of real class which has been on particularly good form in 75cl bottle format when tasted over the course of this year is Louis Roederer Brut Premier which rather surprisingly Majestic sells in magnum at a regular price £10 less than the discounted Bollinger — ie £70. This is a brisker, fresher style but develops beautifully with time so really you should be buying magnums now for 2016 and beyond. In terms of flavour profile I tend to think of Pol Roger as somewhere between Bollinger and Roederer but it is another serious contender in the magnum stakes. You can buy it from Champagnedirect.co.uk for £74.97 (plus at least £6.95 delivery) in time for the New Year celebrations. Berry Bros & Rudd has a three magnum deal on Pol – enabling you to put two away for future celebrations — whereby the regular price of £84 falls to £67.20 a magnum, a saving of £50.40. This is the preferred Christmas tipple of their talented buyer Simon Field MW, whose commentary on the delights of the magnum, kindly penned for my book on Champagne, I am reproducing below its glorious unedited entirety. “Champagne comes in a bewildering array of bottle sizes, from the somewhat perfunctory quarter bottle, best concealed in a floral gift when visiting a hospitalised relative, all the way up to the Nebuchadnezzar and beyond, the larger the size the more impractical the vessel and the more remote the eponymous Biblical origin. Nebuchadnezzar we have heard of; he, after all, was famous for selling his wife for a pair of shoes. But Melchizedek I know not; a Melchizedek is a 30 litre bottle, and in addition to being fantastically impractical (unless one has a small crane to hand) is also bound to be of inferior quality, as the liquid has been decanted from a series of smaller bottles, post ageing, and will have lost freshness and fizz in the process. Indeed this process, known as transvasage, is practiced on all the large formats above jeroboam size and instantly rules them out as candidates for the best bottle size. But why the Magnum? Well beyond the theatre and the sheer indulgence of having one on one’s table, the voice of experience dictates that this size, above all others, allows Champagne to age most gracefully and to maintain the fundamental tension between acidity, sugar, fruit and fizz which make this small and essentially rather dull region so famous. I bumped into Justin Apthorp, champagne buyer at Majestic, at the London Wine Fair at Olympia last week, feeling slightly guilty about my recent post on their pricing policy for champagne — High pricing flatters discounts offered at Majestic. He didn’t approve. Before I had even asked him a question he said he’d read the post and wanted to point out that Majestic customers very rarely purchased single bottles of champagne, so in effect the [much more competitive] two bottle price was the norm. He didn’t want to talk on the record generally about champagne pricing in the UK (which is a shame because I know his comments would make interesting and uncomfortable reading for champagne suppliers and supermarket retailers alike) but did make the quick aside that it seemed to be more than a coincidence that all the major champagne houses have been putting their prices up together, and at a time when sales are falling. Majestic’s policy of, let us say, emphasising the discounts it offers, has of course been influenced by the supermarkets’ ‘false’ half price deals on champagnes that are not remotely worth the claimed full retail price. And to its credit Majestic certainly hasn’t aped that policy. In fact the company has some very decent current offers, particularly under its ‘buy two save 33% deals’, with big name brands featured like Bollinger (£33.31 for Special Cuvée); Pol Roger Réserve (also £33.31); Perrier-Jouët Blason Rosé (£29.98) and Piper Heidsieck £23.32. And if any of its customers do want to buy a single bottle of champagne in their minimum purchase of six bottles there are also good single bottle price deals on Taittinger Brut – down from £42 to £25– plus three wines from Ruinart, including the sought after Blanc de Blancs and Rosé styles both priced at £41.66 when they are more regularly featured at well over £50. Champagne shipments were down just 1.53% in 2013 to 303,870,438 bottles, according to figures just released by the CIVC, Champagne’s governing body. The French domestic market was down by 2.43% to 167,093,159 bottles but total export shipments only fell 0.42% to 136,776,979 bottles. Shipments to the UK market were down by 5.13% to 30,786,727 bottles, dropping from 32,445,352 in 2012, the lowest level they have been at, bar 2009 when the financial slump hit sales, since 2001. The UK is still by far the most significant export market in terms of volume, shipments to the number two market the USA which rose by just 0.93% are still over 12.9m bottles lower. In general, as expected, it is the mature European markets that fared worse with Germany and Spain down 1.57 and 1.92% respectively and Italy falling back further again – by 14.18% to 5,359,536 bottles, after a drop of over 18% in 2012. Belgium bucks the European trend with a 14.15% rise to 9,525,304 bottles. Outside Europe the market for champagne in Japan and Australia remains buoyant with shipments to the latter, the sixth most important export market now, up 11.4% following on from 11.2% growth in 2012 and a 31.9% spurt in 2011. The Japanese market also continued to grow with shipments up 6.75% to 9,674,446 bottles. In terms of value because of the higher average bottle price — consumers there favour more expensive rosé champagne and prestige cuvées — Japan may well have overtaken Germany as the third most important export market in terms of value. Those detailed figures are not available yet but with average shipment prices at €19.19 in Japan versus Germany’s €14.83 in 2012, the gap in terms of Euros between the two was less than €14m though over 3.5m more bottles went to Germany. 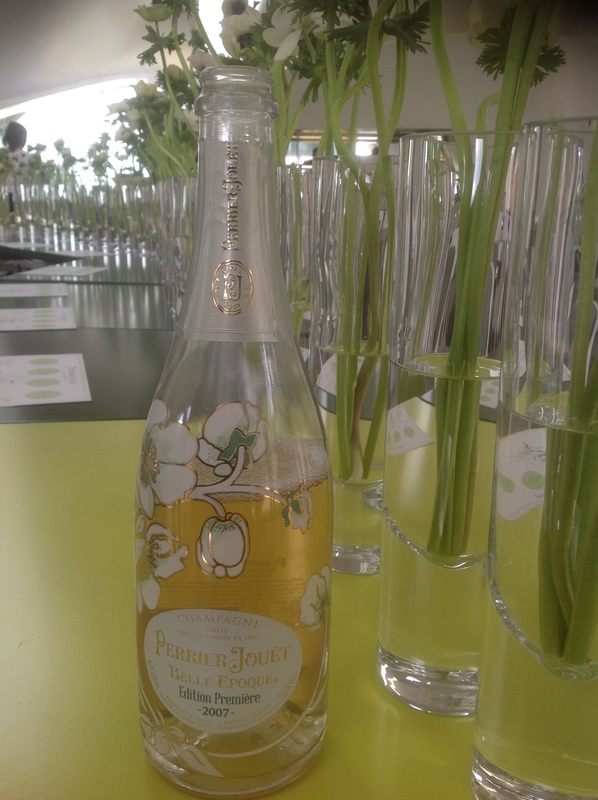 You can see why the Champenois like the Japanese market and that’s the reason Perrier-Jouët has just chosen to launch its new 2007 Belle Époque Edition Première there (a wine I tasted with winemaker Hervé Deschamps last Thursday in London of which more soon) in time for the Spring blossom. A few years ago Veuve Clicquot launched its non-vintage rosé in the Japanese market before releasing it anywhere else and the PJ has hint of pink from macerated Pinot Noir. The feeling that the biggest houses are concentrating their efforts on the emerging markets like the BRIC countries and that this is where the growth is all going to come from in the short term took a blow. Shipments to China were down 18.35%, exports to Russia only up 4%, Brazil fell 0.46% and while India was up 5.36% shipments there still only reached a paltry 367,020 bottles. When I spoke to Moët’s CEO Stéphane Baschiera on the telephone last month he mentioned that Mexico was a ‘priority market’ for the largest champagne brand. Perhaps therefore unsurprisingly the highest percentage growth achieved by any top 30 countries came in Mexico where shipments rose 31.18% to 1,137,845 bottles. That’s more than India and Brazil put together, though sitting together in 15th and 16th position in the top 30, China and Russia are still slightly larger at 1.63m and 1.54m bottles respectively. Shipments to the UK are however still more than five times larger than all five of these markets put together. Is Champagne losing its kudos, its pulling power? Although Champagne prices for the major brands continue to increase, reflecting the fact that grape prices in the region have risen continuously over the past two decades between the 1993 and 2013 harvests, UK supermarkets continued to sell some champagne around the £10 mark at the year-end. Why? Clearly they can’t be making any margin selling fizz at this price. It is simply to pull in the punters. But newspaper columnists still like to use champagne as a symbol of extravagance, luxury and celebration and as a gauge of economic well-being, sometimes working it into the most unlikely stories. Under the heading: ‘Champagne flows as house owners see surge in prices’ The Times newspaper ran a story last Saturday (18 January) saying house owners might want to break out the champagne as their properties were now worth £28,000 more on average than they were in January 2013, or £27,991 to be exact. The writer, Deidre Hipwell, clearly a lover of pink fizz, noted this was the equivalent of 560 bottles of gift bottles of Bollinger Rosé at £49.99 a pop. It seems despite the aggressive pricing of supermarkets in the UK, mirroring what has been happening in France over the past three or four months, brand Champagne is retaining its cachet, its unique position as the drink of celebration. But the fear is this ‘two-tier’ market may cause damage in the longer term. Author adminPosted on 25/01/2014 25/03/2014 Format GalleryCategories Champagne offers, Champagne pricesTags Bollinger, G.H. 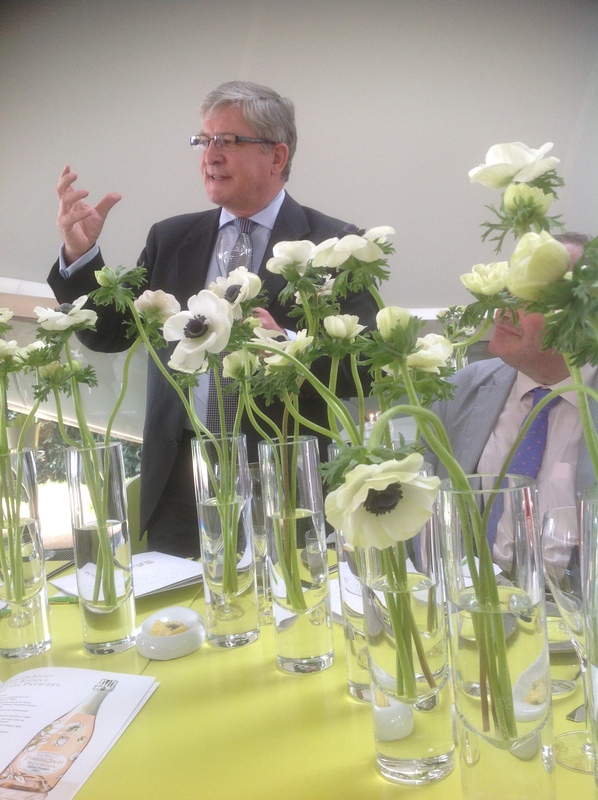 Mumm, Perrier-JouetLeave a comment on Is Champagne losing its kudos, its pulling power? A price war between supermarkets using champagne as their weapon of choice has broken out the other side of The Channel, shadowing developments in the UK where prices have fallen steadily since mid-October. Two of the major French supermarket groups, Leclerc and Carrefour have both been running promotions on champagne which have seen the price of Paul Francois Vranken’s Premier Cru fall to just €7.78 a bottle in Carrefour earlier this week. The Leclerc group has retaliated with a €8.45 price on GH Martel which runs from 6 to 16th November. In France retailers are not allowed to sell products like champagne at under cost but just as UK supermarkets get round the restrictions on advertising ‘half-price deals’ which are not really genuine (they have to list the product in question for 28 days at the so-called full retail price prior to offering it at ‘half-price’) the French grocers get round restrictions by giving customers large discounts on their loyalty cards. The GH Martel discount comes via a 50% reduction on the Leclerc loyalty card, while in the Vranken Premier Cru deal where the price has dropped from €25.95 a bottle, Carrefour is giving its loyalty card holders a massive 70%, or €18.17 a bottle discount. “The price is nearly cheaper than Prosecco,” added Letter. “When they see this, consumers may think, ‘is it really Champagne’? Something must be wrong with it at this price. It is not the producer but the supermarkets doing it, trying to attract customers. They don’t care about the effect, but in the long term Champagne’s image will be damaged,” he says. Using champagne to drive footfall in retailers is not just a European phenomenon, Letter notes. Just back from the Melbourne Cup in Australia which GH Mumm sponsors he says he saw “Moët selling for A$24.7 [€17.7] at Dan Murphy’s liquor store, that’s below cost”. “The objective of such promotional offers are, from the retailer’s perspective, to drive an increased traffic to their stores thanks to a special price offer on an iconic product. 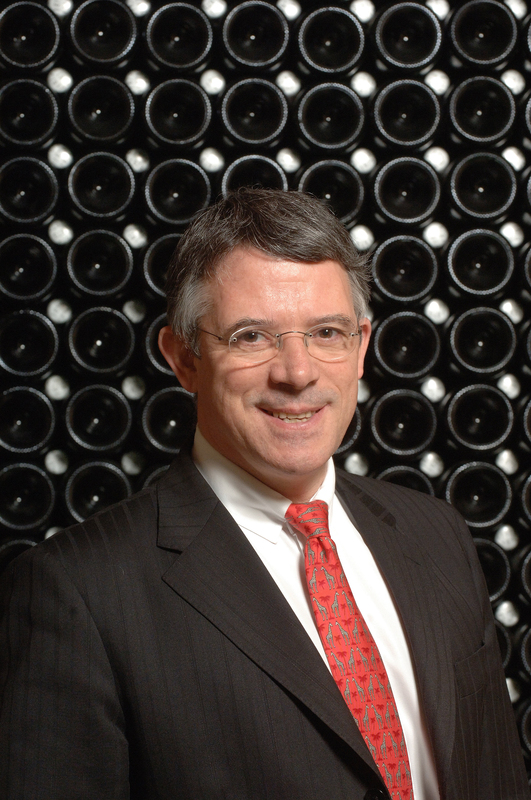 However, such prices disturb the consumer’s set of references, and are not good for the image of Champagne,” says Thibaut Le Mailloux, communications director at the CIVC, Champagne’s governing body. Prices of champagne in French supermarkets have been gradually falling over the past few weeks with Georges Cartier offered for €9.35 a bottle at the end of October; and Charles Lafitte (a brand owned by Vranken) priced at €12.50 in a BOGOF deal a week earlier at Carrefour. While Heidsieck & Co Monopole (another brand that’s owned by Vranken and sold in UK supermarkets) was priced at €13,50 a bottle in Carrefour at the start of October. An outside opinion: Michel Letter was critical of the Champenois when he arrived in the region back in 2006 saying they didn’t always seem to apply logic to the decision making process. Seven years on and he has been accepted by the Champenois as one of their own but his different background has enabled him to bring a new approach to the region and how the houses of GH Mumm and Perrier-Jouët are run.